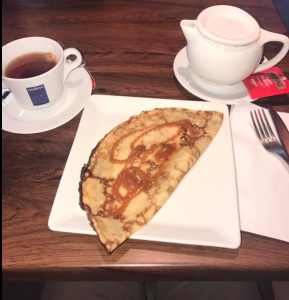 Last summer when I studied abroad in Rome, I got the chance not only to see, but to eat my way through some of the best cities in the world – not just in Italy but all over Europe! I traveled all around Italy, then up to London, Ireland, Scotland, Spain and France.. It was the ultimate summer filled with the most amazing experiences. Each week before visiting these cities, I would look up the regional foods that are “must-tries.” I thoughts it was so exciting to try the foods that the famous cities are most known for, getting the most authentic food experience possible! So I documented the best foods I tried from each city, and I am going to share them with you. Hopefully this gets you as excited to travel (and as hungry) as I am! This was the first thing I ate in Italy, and it did NOT disappoint. 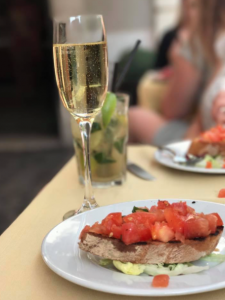 One of my favorite things to eat all summer (and still) is bruschetta, paired with some Prosecco. 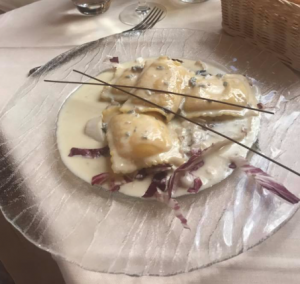 Ricotta-filled ravioli in Florence. It tasted just as good as it looks. 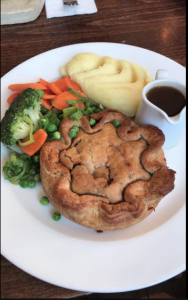 Irish Shepards Pie in Dublin was perfect after the extremely rainy weather! 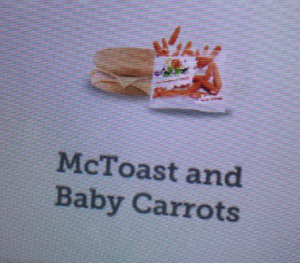 One of the most interesting things was seeing the different items they had at all of the McDonalds’ across Europe.. Always a good laugh and a taste of home. When in France, eat French Onion Soup! Christina was a SAI Rome Summer 2017 student from the University of Missouri.